Anwar, Bashar, and Sarah live in a children’s home in Lebanon. Their stories, shared recently on SAT-7 KIDS, are both heart-breaking and inspirational – each one a triumph of light over darkness. Anwar was found sleeping in an empty, abandoned bus. At nine years old, he had been trafficked from war-torn Syria and exploited by his captors before managing to escape. Bashar is from Syria, too – the six-year-old moved to Lebanon to live with his father after his mother died of cancer. But it proved impossible for Bashar’s father, a migrant worker, to provide for his two sons while also taking care of them, so the family could not stay together. Nine-year-old Sarah, meanwhile, has never known her father. 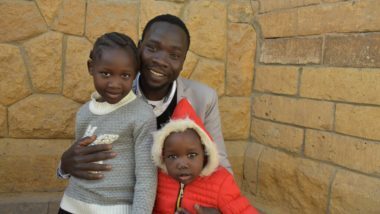 He was from Cote D’Ivoire, but because he cannot be found, Sarah has no legal status either in Lebanon or in her “home” country, which means her future is in jeopardy. These children come from different backgrounds, but they have one thing in common: they all love Jesus, and they have found enduring peace in Him. 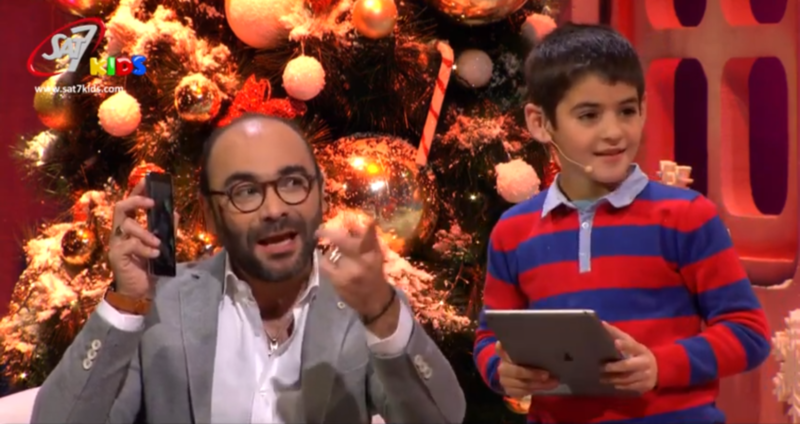 “They truly are so full of joy,” says Essam Nagy, presenter of A Christmas Like No Other, a special Christmas Eve show in which these three children who have known homelessness, told the story of Jesus’ birth in the poorest surroundings. Instead of the children’s channel’s usual colourful surroundings, the programme opened with a darkened set. The only light came from a nativity scene, which was lit one element at a time. As the children told their stories, Essam explained the parallels between their lives and the life of Jesus. 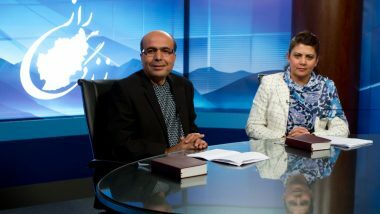 Young viewers called in to the show and spoke to the children and to Essam. Previously known as Mr Know from the long-running programme Why is That? 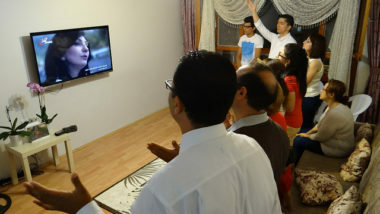 he had returned to their screens after an 18-month break. At the end of the Christmas story, Anwar, Bashar, and Sarah joined in the nativity scene, playing the wise men. Each brought a gift of their own – a football, a teddy and a walking stick full of marshmallows! – and acted out offering these as gifts. Then, the children themselves each received a special present. 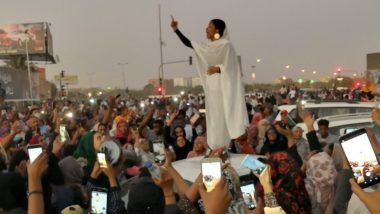 “I wanted to show them, ‘You have given Jesus the best thing in your life, and now it’s His turn to give you what you need,’” Essam said. 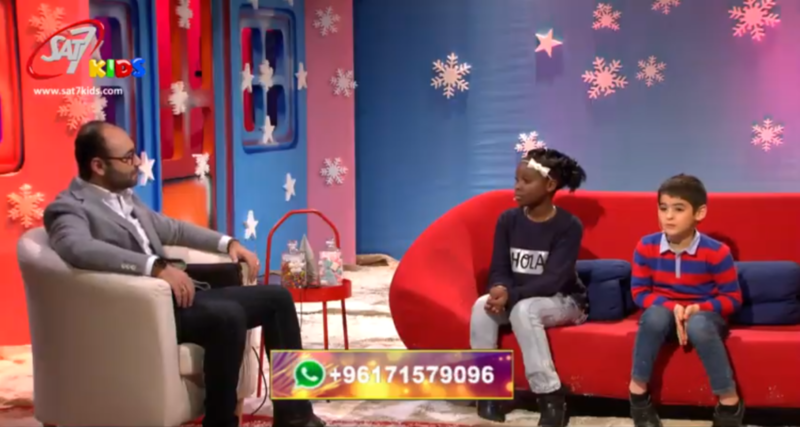 As well as being an encouragement for Anwar, Bashar, and Sarah, Essam hoped the programme would give hope to children in similar situations and show SAT-7 KIDS viewers the reason why Jesus became one of us.